STROKE IS CAUSED by a blocked blood vessel or bleeding in the brain. The signs of a stroke include a sudden and severe headache, weakness, numbness, vision problems, confusion, trouble walking or talking, dizziness, and slurred speech. It is a devastating and debilitating condition that can not only destroy the lives of the afflicted but also of their families and dependants. · Strokes are the third-most common cause of death worldwide. · Every sixth person we meet today is likely to suffer a stroke in their lifetime. 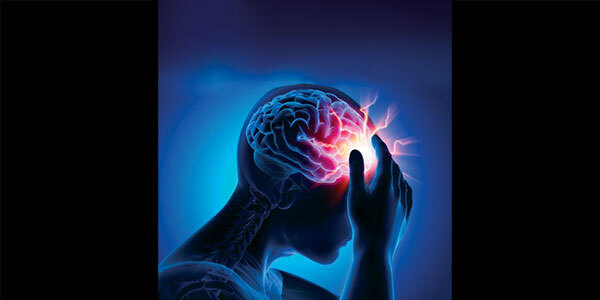 · Every 40 seconds, one person in India is stricken by a stroke. · Out of 100 people affected by a stroke, a third die. · Every 4 minutes, one person in India dies of stroke. How to know that someone is having a stroke? · Face Drooping. Ask the person to smile, and observe him or her closely. Is the smile uneven? Does it droop on one side? If the answer is ‘yes’ to either of the two questions it is a sign of stroke. · Arm Weakness. Ask the person to raise both their arms. If one arm drifts downward, that’s another sign. · Speech Difficulty. Ask the person to say something very simple. Is the speech slurred? Is it hard to comprehend? If it is a ‘yes’ to either of the questions it means they’re having a stroke. · Time to Go to a Specialist Hospital. If you see any one of these signs, immediately rush to the nearest hospital with facilities for stroke treatment. Note the time, too. Most strokes are caused by a clot. When that’s the case, the clot dissolving drug needs to be given within 4 hours. · Confusion. The person might have a hard time comprehending you or they might even have trouble speaking clearly. · Vision. There is a likely impairment in one or both eyes. · Severe Headache. For no obvious or clear reason. · Loss of Balance. There is trouble walking and maintaining balance. What to Do When You Spot a Stroke? With some health problems, it’s fine to adopt a wait-and-watch approach. But when it comes to a stroke, you don’t have a second to spare. A stroke cuts off blood flow and oxygen to the brain. To stay healthy, your brain needs a steady supply of both. The longer it goes without them, the more brain cells die and the more damage you have. Quick treatment can save your life and prevent long-term problems. · MYTH: Stroke cannot be prevented. FACT: Up to 80% of strokes are preventable. · MYTH: There is no treatment for stroke. FACT: At any sign of stroke, rush to the nearest stroke speciality hospital. Every second matters. · MYTH: Stroke affects only the elderly. · MYTH: Stroke happens in the heart. FACT: Stroke is a ‘brain attack’. · MYTH: Stroke recovery only happens for the first few months after a stroke. · MYTH: Strokes are rare. FACT: Stroke is the third leading cause of death and disability after heart disease and cancer. · MYTH: Strokes are not hereditary. FACT: Family history of strokes increases your chance for a stroke. · MYTH: If stroke symptoms go away, you don’t have to see a doctor. FACT: Temporary stroke symptoms are called transient ischemic attacks (TIA). They are warning signs prior to an actual stroke and need to be taken seriously. If you have high blood pressure and you don’t manage it well, chances of a stroke are higher. Ideally, your blood pressure should be under 120 over 80. If yours is too high, talk to your doctor about diet and exercise. If that’s not enough to control it, she may prescribe medication to help. Exercise helps you stay at a healthy weight and keep your blood pressure where it should be — two things that can lower your odds of having a stroke. You’ll need to work out hard enough to break a sweat 5 days a week for about 30 minutes. Smoking makes your blood more likely to clot. It also aids and abets a thickening and narrowing of your blood vessels, leading to the build-up of plaque, all of which make you more likely to have a stroke. Stress can make it more likely for you to get a stroke, due, in part, to the inflammation caused in parts of your body. If you’re stressed out at work, try some simple things to help dial it back. Get up and move around often, breathe deeply, and focus on one task at a time. Make your work area a calm space with plants and soft colours. And make sure you spend a healthy amount of time away from office. Obesity and the health issues it can cause — diabetes and high blood pressure — boost the chances of a stroke. Keep your calorie count under 2,000 a day and make exercise a regular affair. Heavy drinking can lead to obesity, high blood pressure, and diabetes — all things that raise your odds of having a stroke. High levels of LDL ‘bad’ cholesterol and low levels of HDL ‘good’ cholesterol can lead to a plaque build-up in your arteries, which, in turn, can limit blood flow, leading to a stroke. Cutting down on saturated and trans fats can help lower your LDL while exercise can boost your HDL. If it doesn’t work, your doctor may prescribe medication. Atrial fibrillation (AFib), an irregular heart rhythm, makes you five times more likely to have a stroke. If you notice a racing or irregular heartbeat, see your doctor to find out what’s causing it. If it’s AFib, she might be able to treat you with medicine that lowers your heart rate and cuts back the odds of blood clots. In some cases, she may try to reset your heart’s rhythm with medication or a brief electrical shock. This condition affects how your body uses glucose, an important source of energy for your brain and the cells that make up your muscles and tissues. It can raise your odds of having a stroke, so it’s important to watch your blood sugar carefully and follow your doctor’s instructions. The magic number here is 7: For every 7 grams of fibre you add to your daily diet, your stroke risk goes down by 7%. You should get about 25 grams a day: six to eight servings of whole grains, or eight to 10 servings of vegetables. Flavonoids are plant-based chemicals in cocoa that have all kinds of health benefits. For example, they can help with inflammation, which, in turn, can help relieve pressure on your heart. Studies show a little dark chocolate a day helps prevent heart attacks and strokes in people with a higher chance of having heart disease. Just don’t overdo it because chocolate has sugar and saturated fat. A balanced diet of fruits, veggies, fish, lean meat, and whole grains can help lower your cholesterol. That means plaque is less likely to build up in your arteries and form clots. It also can help protect you from other conditions that raise your odds of having a stroke, like diabetes and high blood pressure. This sounds like an easy one, but a lot of people have a hard time with it. Take your medicine for blood pressure, diabetes, and heart health on time and as prescribed. If you’re concerned about side effects, talk to your doctor before skipping your medications or taking less than you’re supposed to. What happens when a stroke patient comes to hospital? Usually stroke patients are received in the Emergency Department. At Stroke Centres, when a stroke patient arrives, an alert called CODE 7 is activated and automatically all the doctors and healthcare professionals concerned are alerted. Usually a CT scan is done to ascertain whether it’s a block or a bleed. If the blood vessel is occluded (obstructed), then a CT angiogram is done to identify which vessel is occluded. If bled, the CT angiogram will show the spot of bleeding, so that appropriate treatment can be started. There are several treatment options for stroke depending on the cause of your stroke. If you are having an ischemic stroke or a stroke that is caused by a blood clot your doctor may recommend drug treatment. Tissue plasminogen activator (tPA) and Tenectaplase are two clot dissolving drugs given via intravenous therapy (IV). They work by dissolving the clot and improving blood flow to the part of the brain being deprived of blood flow. The drug should be given within three hours (and up to 4.5 hours in certain eligible patients) of the time symptoms first started. Some ischemic strokes are treated with small mechanical devices that remove or break up blood clots. This is done in the Cath Lab and the doctor inserts a small mechanical device into the blocked artery using a thin tube. Once inside, the tool traps the clot, and either breaks it up or the doctor pulls it out of the brain, reopening the blocked blood vessel in the process. A haemorrhagic stroke (sometimes called a bleed) occurs if an artery in your brain leaks blood or ruptures (breaks open). The first steps in treating a haemorrhagic stroke is to find the cause of bleeding in the brain and then control it. Some of the options for treatments include surgical clips or coils inserted in aneurysms (weaknesses in the blood vessel wall), controlling high blood pressure, and surgery to remove the bleeding vessel and blood that has spilled into the brain. This is an initiative put together by Rajagiri Hospital to create awareness about strokes and help alleviate the sufferings of patients. · Helps lay people to identify symptoms of stroke. · Creates awareness about how patients can reach a comprehensive stroke centre. · Educates patients regarding the treatment options available. · Offers treatment assistance to those in need. · Creates patient support groups. · Offers training to nurses and medical personnel.